If a door has been painted or repainted many times or if paintwork is flaking, you'll only make the problem worse if you add a new layer of paint. 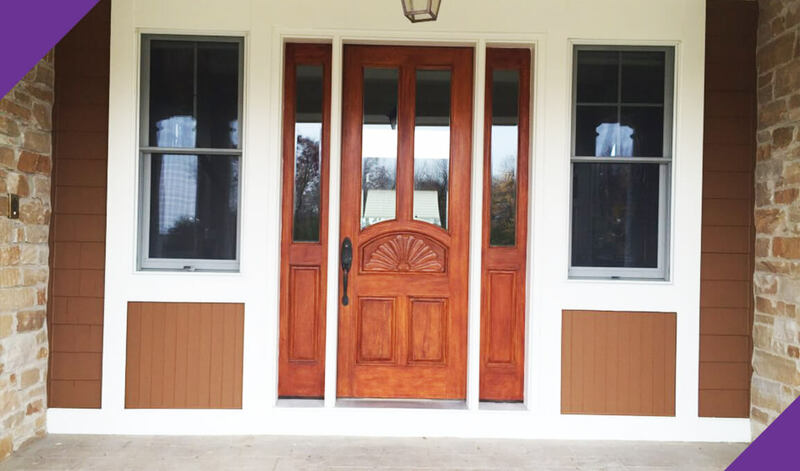 Stripping off the old paint or varnish can make a door look like new. You could then repaint it or, if it's made of high-quality wood, bring out its natural color by varnishing. The following steps are needed to be done to do a natural looking door varnishing. 1. Sanding and Staining- To ensure a smooth application of varnish or paint, sanding is required. This process will remove the existing varnish/paint of your door until it was back to it's bare and natural texture. 2. Varnishing - You can apply the varnish by brushing or spraying. After applying a coat to one side, let it dry, then coat the other side. After that side dries. Are the doors and cupboards in your home wanting a touch tired from wear and tear? If discoloration and flaking is that the solely factor that desires fixing, all it'll take may be a new layer of paint to regenerate its entire look. A splash of daring color on the door will do wonders – it will nearly work sort of a facelift for your home with none major redecorating! We also provide plumbing service, carpentry service, painting service, door repair service and general handyman repair and maintenance services.